You’ve tried single crochet, and now you’re looking for something a bit taller? 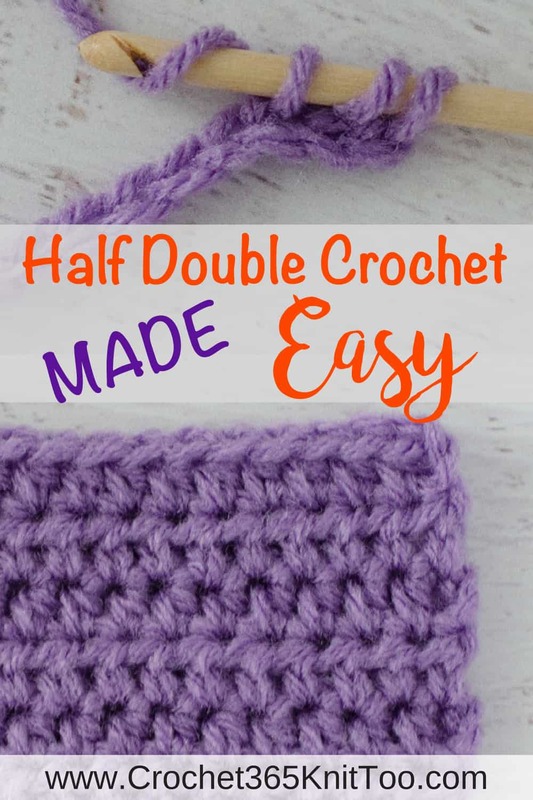 Meet half double crochet! 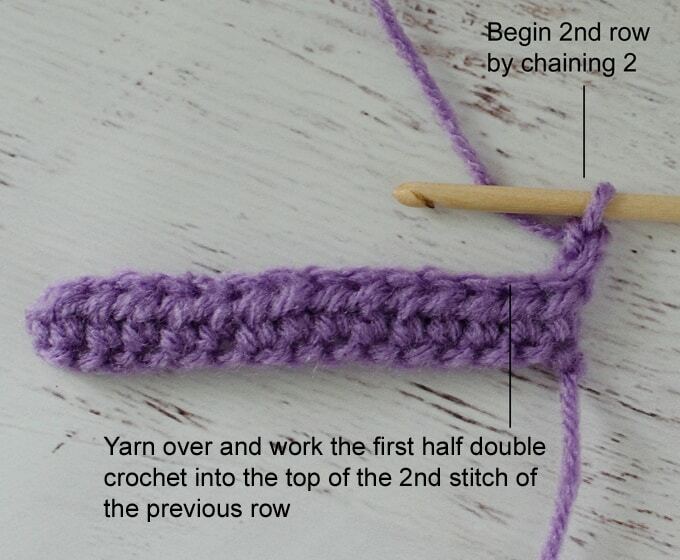 Half double crochet is the next tallest stitch and one of the 4 most common crochet stitches. 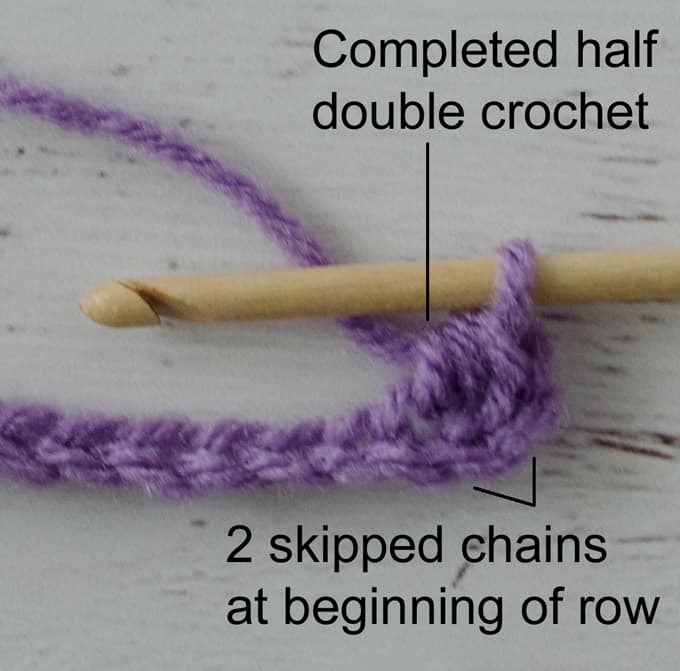 Half double crochet is abbreviated as hdc. 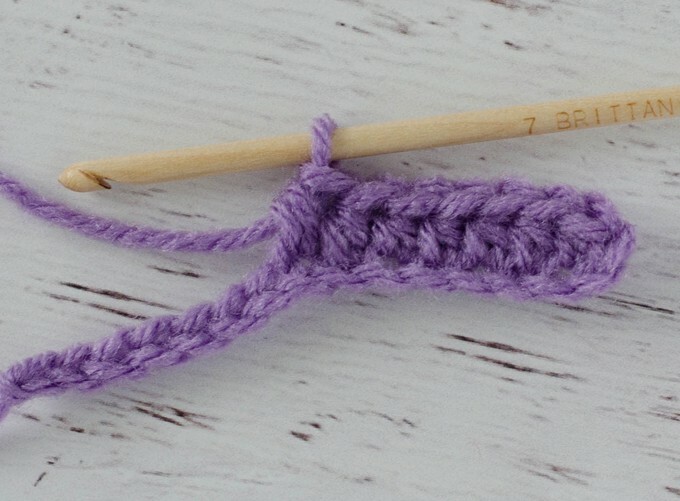 Learning how to half double crochet is easy! Just follow these simple steps! To start, make a foundation chain. If you are following a pattern, the pattern will tell you the required number of chains to make. Then, wrap the yarn around the hook. This is called a “yarn over” and in patterns, you will find it abbreviated as YO. 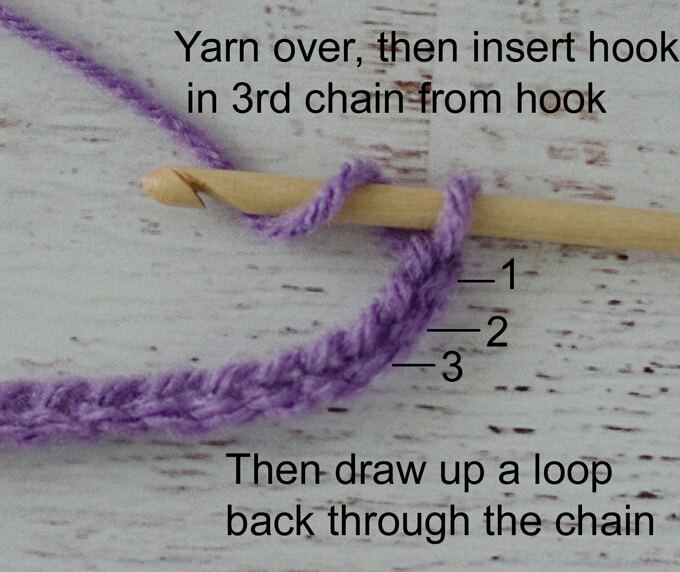 Then, insert your hook into the 4th chain from the hook and pull up a loop. Now you will have 3 loops on the hook. 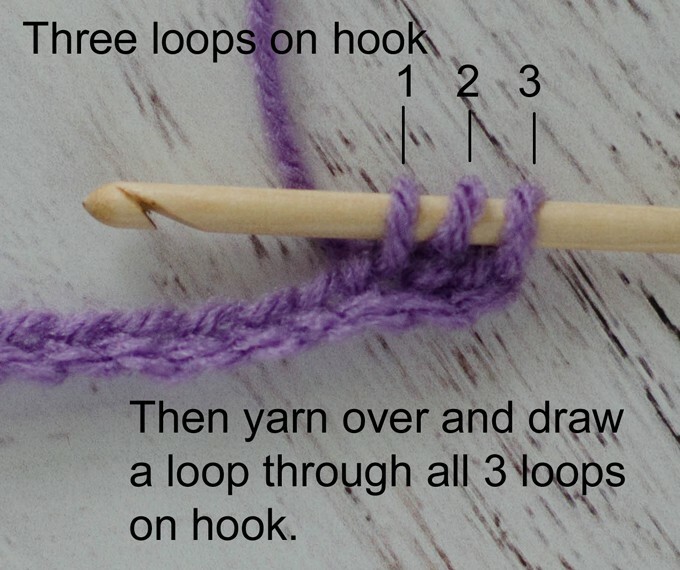 Yarn over again and pull a loop through ALL 3 loops at once. Ta da! 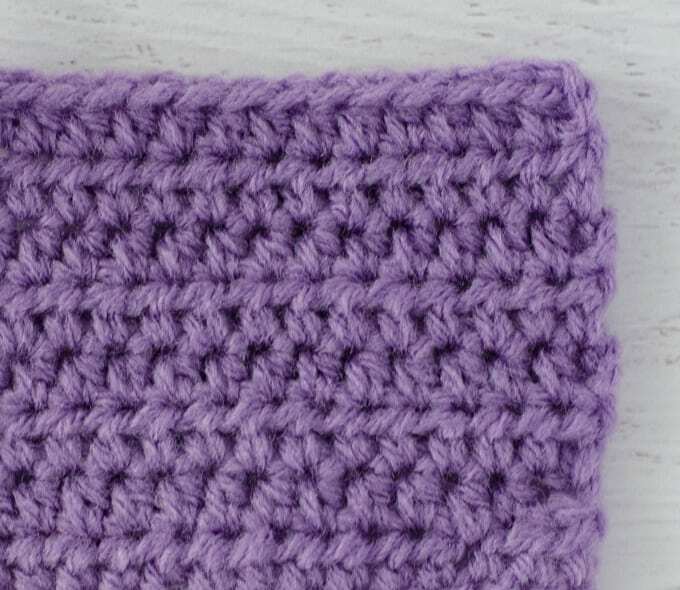 Half Double Crochet stitch! Take note that when we started this row, we started in the 3rd chain from the hook. This means we skipped 2 chains at the beginning of the row. Those 2 chains = the 1st half double crochet at the beginning of the row. So when you count your stitches each row, be sure to count those starting chains as ONE hdc. Continue to half double crochet into each foundation chain. 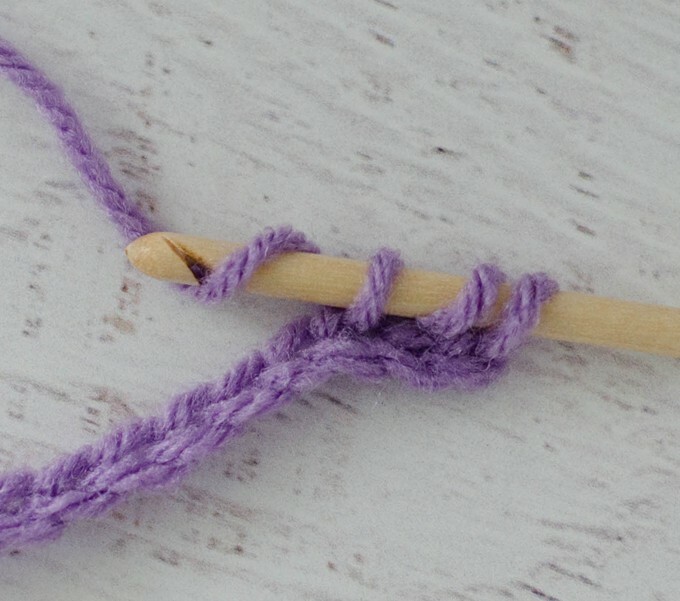 Remember to start each half double crochet stitch by wrapping the yarn around the hook before inserting it through the chain. When you finish the row, rotate the work to start the next row. Begin the 2nd row, by chaining 2. This chain 2 becomes your first stitch. Yarn over and work the first half double crochet of this row into the top of the 2nd stitch in the row below. When you get to the end of the row, the very last stitch is worked into the top of the chain from the previous row. 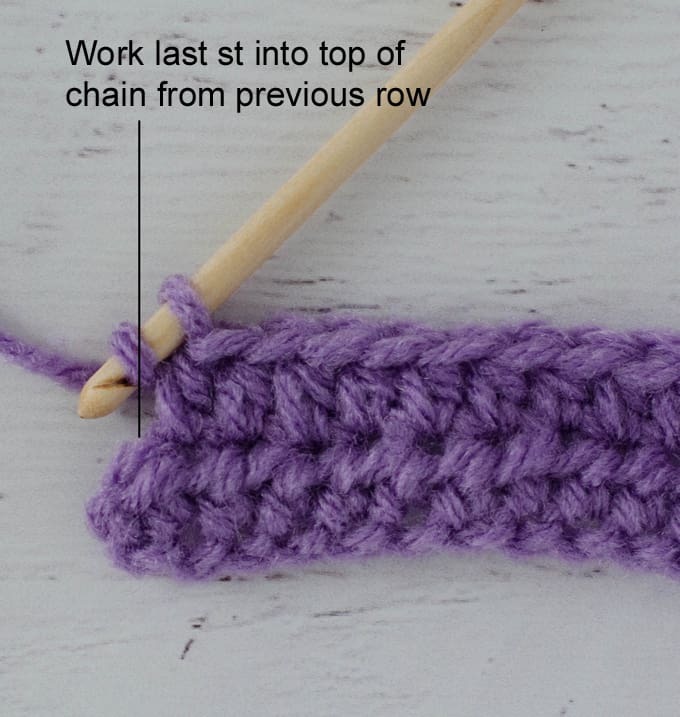 Remembering how to start and end each row with the “chain 2” counting as a stitch will keep your work even on each side. 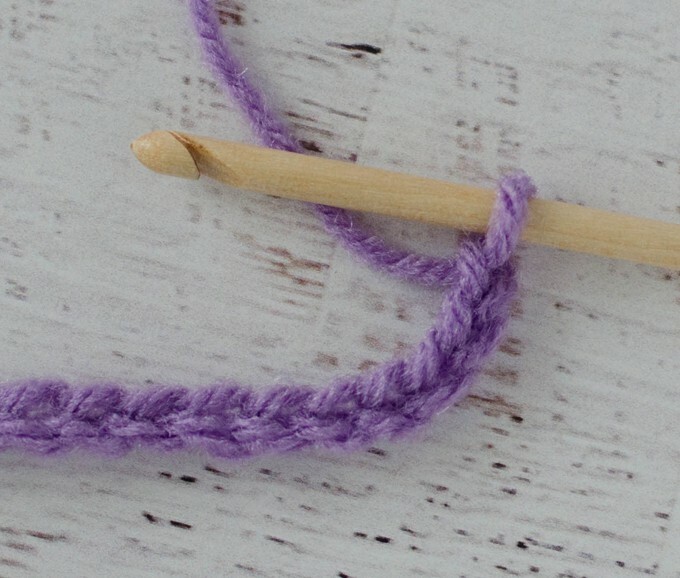 Be sure to check out how to crochet other stitches. You can find them on the “Tutorial” link on the menu. 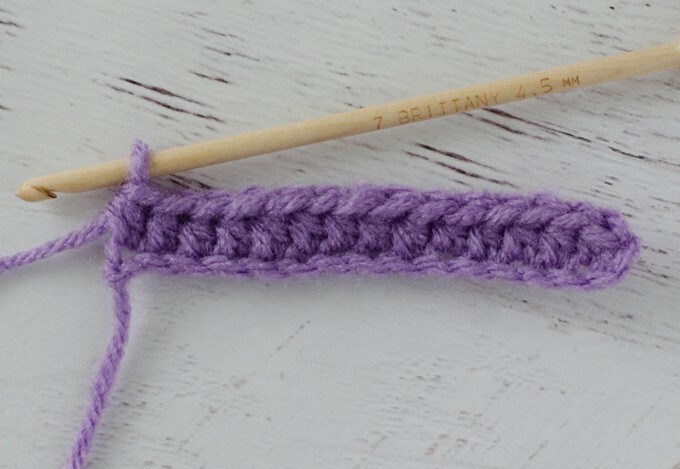 “Getting Started” will show you the basic stitches you’ll need for most patterns. “Crochet Stitch Dictionary” will show all the stitches as they are added to Crochet 365 Knit Too. Happy Hooking! Thank you for this. So easy to follow! I keep coming up with 27 hdc at end of completed row. I’m wondering if you are not counting the starting chain as a hdc.. if you include that, you should have 28 st.